Plug the scanner to your computer via the USB cable and upload the data straight to all most common software. The key parts are made of high elastic engineering shock rubber with high friction, effective resistance to external pressure, protect the device against falls. The lifespan of the high rebound button is long to 5,0000,000 times. 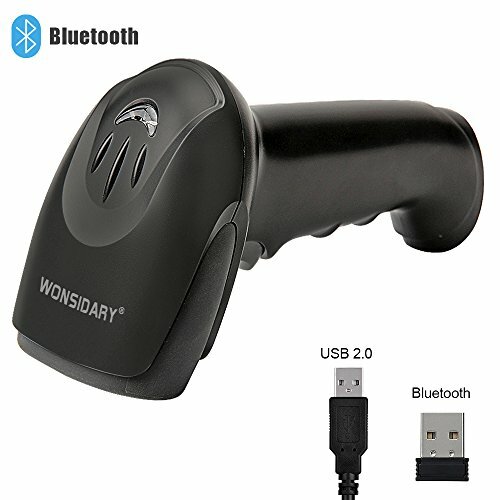 Built-in 600mA Li-battery, standby time is long to 3 months, any USB 2.0 port can charge the barcode scanner. Compatible Operating Systems:Windows XP / WIN7 / WIN8 / WIN10,MAC OS,Google Android, linux.